The island Öland has something to offer all year round! Here you can read a few suggestions for activities and tourist attractions. Welcome to discover the island Öland! A sure sign of spring is when the bird formations comes and fly north. The island Öland is really an eldorado for the bird lover. Sjölunden is located in the nature reserve Knisa Mosse. There is a hiking trail that goes around Knisa mosse where you may enjoy flowers and birds during spring. There is also a bird watching tower with good possibilities to watch the birds at the bog, and see the views over Kalmar sound. Other nice spots to watch birds and flowers near by is Södra Greda lövängar, Petgärde träsk, Södviken, Lilla-Horns lövängar, Högenäs orde and Lake Hornsjön. If you are into fishing there are plenty of opportunities to catch a salmon in the spring. Many fishermen enjoy the relaxation of fishing with a rod in the sunset. If you didn’t have any luck fishing you don’t need to be without fish. 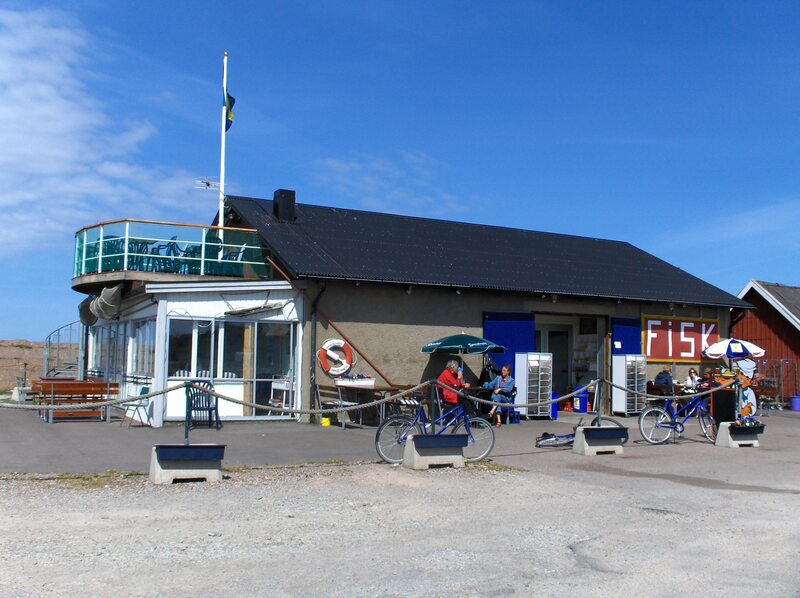 In Sandvik there is a fish boutique/restaurant where you can buy both fresh and smoked fish of many different kinds. I usually fish with a net that I set out with wading trousers since the salmon comes so close to the shore. It’s always exciting to see next day if you’ve caught something. Walpurgis night is an old tradition in Sweden that celebrates the coming of the spring and is held on the last eve of April (30th). It’s a custom to lit a bonfire and sing songs about the spring. There’s a local tradition, over 100 years old, for the villages surrounding Sjölunden to come together and lit a huge bonfire at the headland south of Sandvik. The cosy crackling from the fire is accompanied by a choir singing the traditional folksongs. When the fire starts to decrease, coffee is served at the great windmill in Sandvik! On the island Öland there is a diversity of orchids. When they blossom during May and June it is very beautiful. But they are sacred, so you may only look at them! You do not need to walk very far to experience the orchid’s beauty, since they are just around the corner at Knisa Mosse. 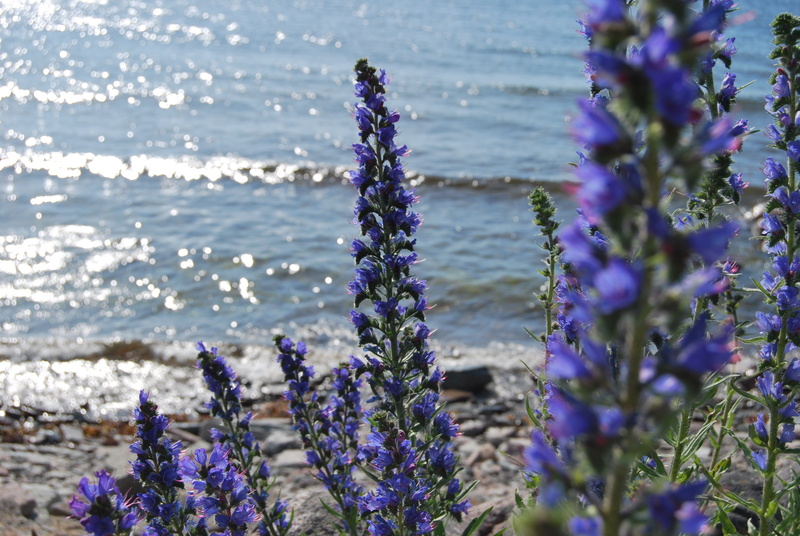 During June, the rare viper's-bugloss blossom together with the flax flower along the coast line. 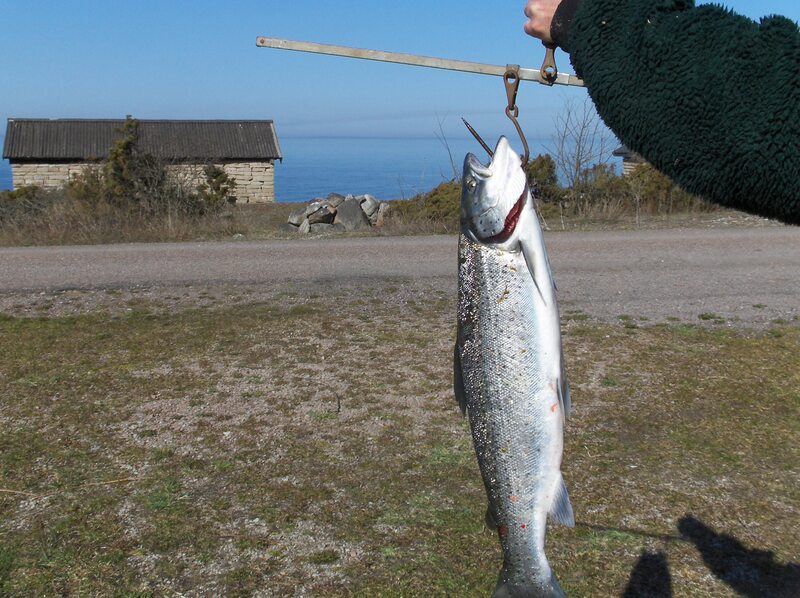 During spring and autumn we have recurring "fishing groups" that come and have Sjölunden as their base for the fishing. Spring festivity at the island Öland! Always during the weekend of week 19. The Team for the weekend is the garden, nature experiences and country life. Over the entire island you, as a visitor will be offered activities in this spirit. Go shopping, eat a nice meal and discover tourist attractions on a lovely spring island. Art, music and literature are the cultural features that spice your stay. 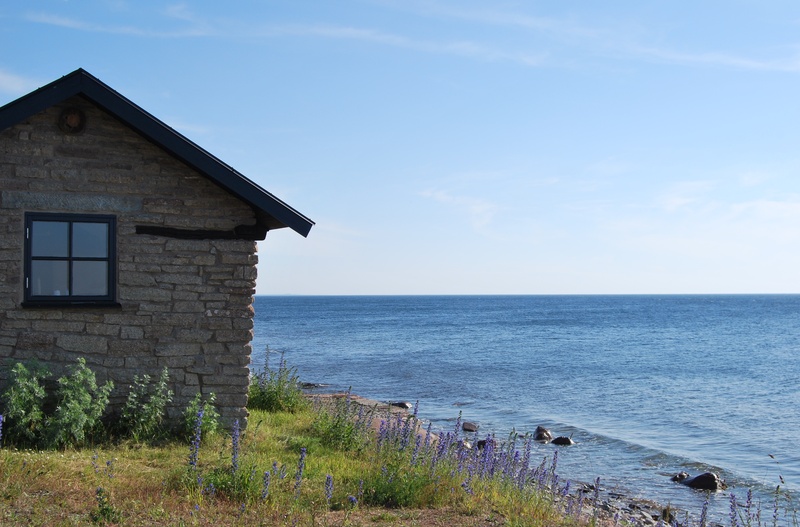 To many people, it is not summer unless you have visited the island Öland. If you have been once, it is most likely that you would want to return. Öland has something to offer everybody. During summer it is lively and movement all around, but there are also places with peace and quiet, as it is with us here at Sjölunden. There is much to experience in the area. A few kilometres south of Sjölunden you will find the small fishing village Djupvik, with a small swimming jetty. Here you will also find a small restaurant where you can enjoy a pizza and enjoy the sunset over the inlet. 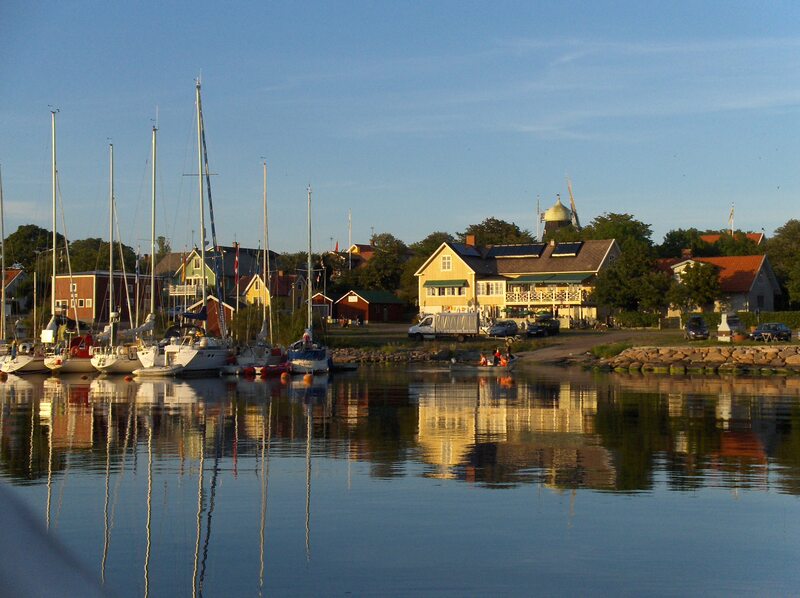 Just north of Sjölunden you will find Sandvik, a small summer idyllic place with a marina. A lovely place to stroll around in the evenings and look at all the nice boats. By the marina there are a few restaurants and an ice cream shop. The best view over Sandvik is from Sandvikʹs mill. Here you may eat a nice meal and play some miniature golf. If you follow the coastal road going north from Sandvik you will come to Jordhamn that has the island’s only preserved wet-scrubbing mill. A popular motive to take photos of. On the island Öland it is never far to a beach. Here you will find wonderful swimming beaches, and the nearest sandy beach is located in Sandvik 1,5km from Sjölunden. At Böda, we have a 20km long sandy beach and is said to be one of Europe’s best. There are several swimming spots to choose from and you will surely find your favourite. At Byrumʹs sea stacks one can enjoy a lovely sandy beach and the sunset, and on the east side there are children friendly beaches with shallow water. 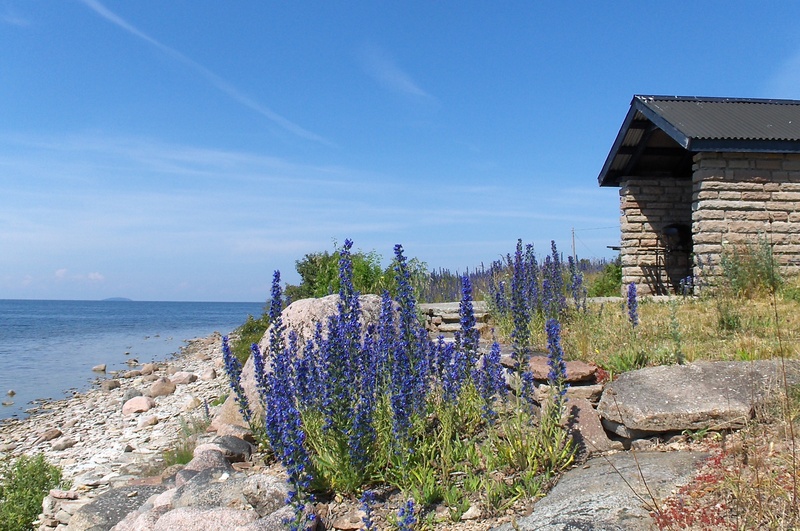 We can recommend several nice day trips, hiking trails and bicycle tracks here at the northern island Öland. To mention a few, there are Skäftekärrʹs Iron Age village, the Troll forest and the light house Långe Erik. In Byxelkrok there are plenty to see at the port in the small sheds and from here one can make a day trips by boat out to the island Blå Jungfrun an island in Kalmar sound. A must for families with children is the coaster car land in Löttorp. Here the children can ride little cars and buses, which is very popular. Furthermore we can mention the ostrich farm in Marsjö, or you can try out riding camels in Ormöga. An evening concert at Borgholm castle is also a lovely summer memory to bring home. As you can see there are many things to experience on the island Öland! If you are into fishing there are plenty of opportunities to catch a salmon in the autumn. Many fishermen enjoy the relaxation of fishing with a rod in the sunset. Ölandʹs Skördefest is always celebrated during the last weekend of September - Sweden’s largest culinary festival! Ölandʹs Skördefest offer around 900 activities all over the island. The gates to Ölandsʹ rich pantry open and you can enjoy the farmer’s new harvest and processed deliciousness, on sale in the farm shops and stores, together with being served in coffee shops, restaurants and pubs. T find all activities around the island, the places are marked with the harvest feasts symbol – the pumpkin! One of the feasts highlights is the fantastic art night. When the artists open their galleries and homes, and everywhere in the night, there is light from pumpkins and marshals – it is a magical feeling. The harvest feast always begins during the Thursday evening with the opening of the Öland village of the year. There is always something going on, from the opening during Thursday to the grand finale with the finishing parade at Färjestaden during the Sunday. Two art nights, fire sculptures, fire works, doll parade, pumpkin men, Night Glow, cooking competitions, exhibitions, sheep days, the food landscape and much more. It is your choice. The hiking trail invites to comprehensive excursion goals, short or long, on foot or on a bike. To make sure the visitor will find his way, the project developed maps over the area with the hiking trails. The maps also contain other practical information such as public bathrooms, restaurants, shops and coffee shops in the area. 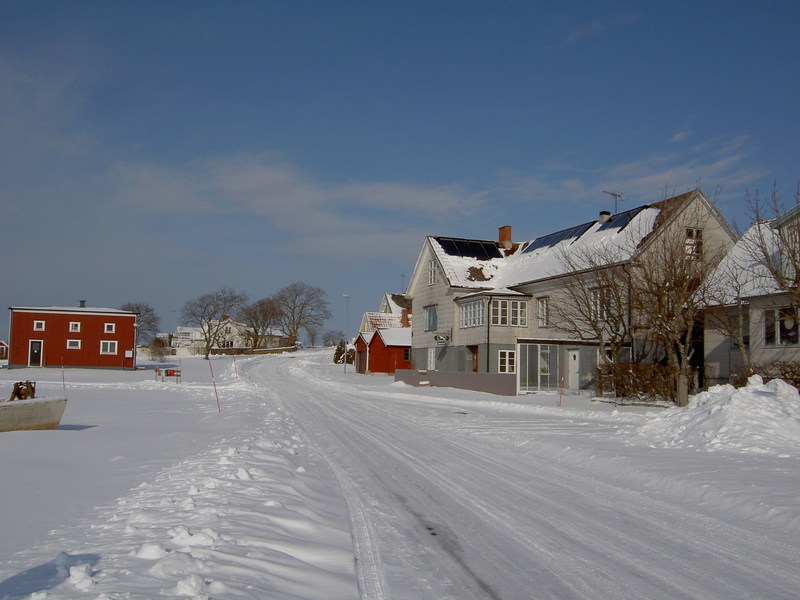 A question that often is asked is "Is it really possible to live on the island Öland during winter?" To us, it is a recovery period, when we enjoy a different Öland, filled with peace and calmness. Hiking along the sea, tranquillity, light blue pink sunsets and an unstressed life make Öland special also during winter. If there is a lot of snow and the ice comes, one might think we are at the North Pole with the high snow mountains and the silence together with the vastness. If the Ölandsfåken (a blizzard) should bring snow and wind, it is nice to sit by the fireplace and just exist. Several guests come and stay over the weekend to experience a distressed environment, Sjölunden is really an oasis! Borgholm Castle has an exciting Christmas fair during the second Sunday of December. Here you can enjoy local handcraft and food. Hotel Borgholm, Halltorp Gästgiveri and Ekerum Resort are much appreciated for their good food. Christmas concerts in the several churches is also well worth a visit. Celebrate Christmas and/or New Year at Sjölunden! Strandvillan, the beach house is for rent all year round. We have had several guests here for Christmas and New Year in Sjölunden. They appreciate coming here to a decorated house with a fire in the open fireplace. Here you are able to relax and hang out, read a book and watch the sea from the first floor. And you can cook together in the well equipped kitchen. One you please, you can take a walk around the bog and then enjoy our sauna. On New Years Eve there is a spectacular sight to see the fireworks over the inlet, if there is a clear sky. 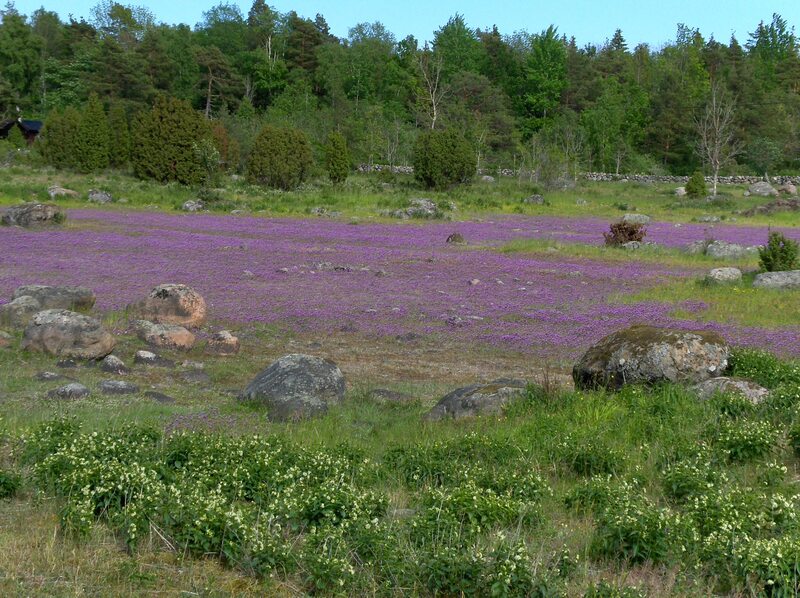 Since Sjölunden is located in the middle of this nature reserve, you don’t even have to take your car to get out on your hike. Knisa mosse is a one of Öland’s few untouched wetlands since this type of nature was heavily reduced in the 19th century due to the irrigation systems. Parts of the bog became a nature reserve already in the 1930th and today it’s included in Natura 2000, a list of places that are of national interest for preservation and outdoor life. Knisa Mosse consists of 370 acres where over 50 different birds are nesting. It’s a wonderful experience to walk around the bog in a spring morning and enjoy the bird song and the magnificent display of flowers. Since the cottage is located in the middle of this nature reserve you can just join the nature circuit outside the door. Sandvik is a small community that used to be an important shipping port for limestone that is processed near by. Now days the port is a popular guest harbour for the boat tourists, but there are also a few fishing boats here. Sandvik also offer several small sheds with antiques, textile craft and a ceramic shop. 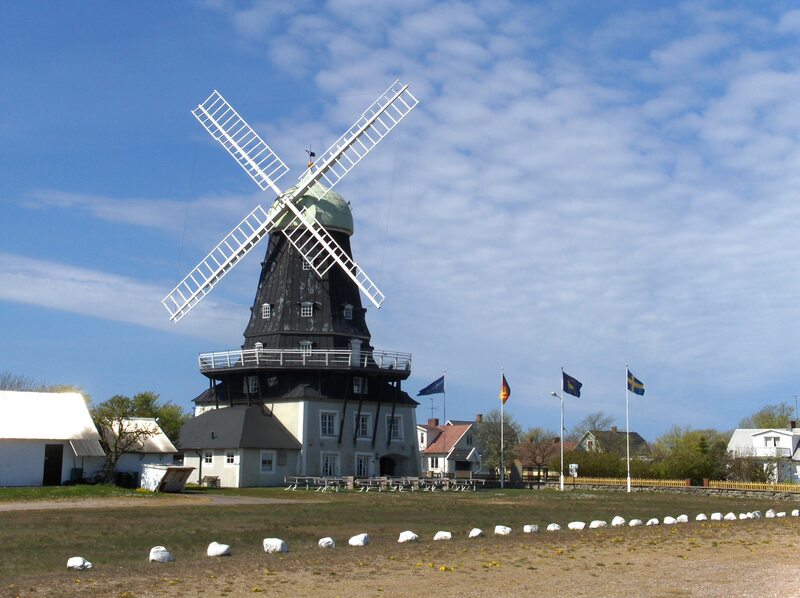 Sandvikʹs foremost signature is the mighty mill, Sandviks kvarn. A gigantic ”Dutchman” with eight stories and 24 metres high. It was moved here from Vimmerby 1885. Today the mill is used as a restaurant and a mill museum. In Sandvik we have a fish shop/restaurant where you can buy most things regarding fish; it is also pen during the weekends during low season between Easter and Christmas. At the marina there is a marina restaurant, Hamnkrogen. Open during summer, a little bit further away Sandviks kvarn (mill) with a restaurant and pizza place is located. In Sandvik there is also a supermarket called Trossen. Just south of the marina, there is a swimming sort with a sandy beach. Appreciated by the locals as well as the tourists.